Posted on January 5, 2017 at 12:45 pm. The South Australian government has reduced the poker machine maximum to $5 per spin, and may have unknowingly made it more difficult for players to bet. Following the Reforms to South Australian Gambling Legislation in 2013, where the new limit was set for 2017, the decrease of the maximum bet of $10 down to $5 on poker machines came in effect last Sunday. Any poker machine venues which do not impose the new limit will be turned off, with around 500 machines estimated by the State Government to be switched off. Despite anti-pokies campaigners claiming this limit doesn’t go far enough, players everywhere have been having difficulties playing with the new $5 note on poker machines at pubs and clubs since it was first rolled out in mid-2016. This could prevent the one-off bets for players with only these notes, as South Australian Communities Minister Zoe Bettison said some people quickly develop a gambling problem after playing recreationally. “By reducing the maximum bet limit, we hope to reduce the amount problem gamblers can lose while they are gambling,” she said. Still, Senator Nick Xenophon said the new limit isn’t good enough and will continue to push for the maximum bet to be decreased to $1 per spin, despite the denial from major poker machine companies and the biggest poker machine supplier, Woolworths. “The challenge is to wind back the damage done by existing venues,” he said. Senator Xenophon isn’t the only anti-pokies campaigner lobbying for the $1 maximum bet, with Coles Supermarket – the second biggest poker machine – having its attempt to impose the limit knocked back late last year. 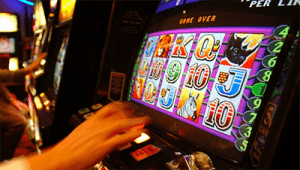 The $1 limit was proposed in 2010 by the Productivity Commission as a strategy to reduce the harmful effects said to be brought on by poker machines, said Uniting Communities advocacy manager Mark Henley. “Poker machines can be played at over 20 spins per minute, so a $1 per spin bet limit still gives a $20 per minute spending rate — higher than almost all other recreational activities,” he said. Whether the $1 maximum bet limit will be brought into effect, the new $5 limit was always set for 2017, with even more changes to come in 2018.